So very proud to be a part of this memorable event. We took off from Milwaukee on our way to New York City on a 9/11 Memorial Ride. I represented the Harley-Davidson Motor Company and we visited several dealerships along the way. 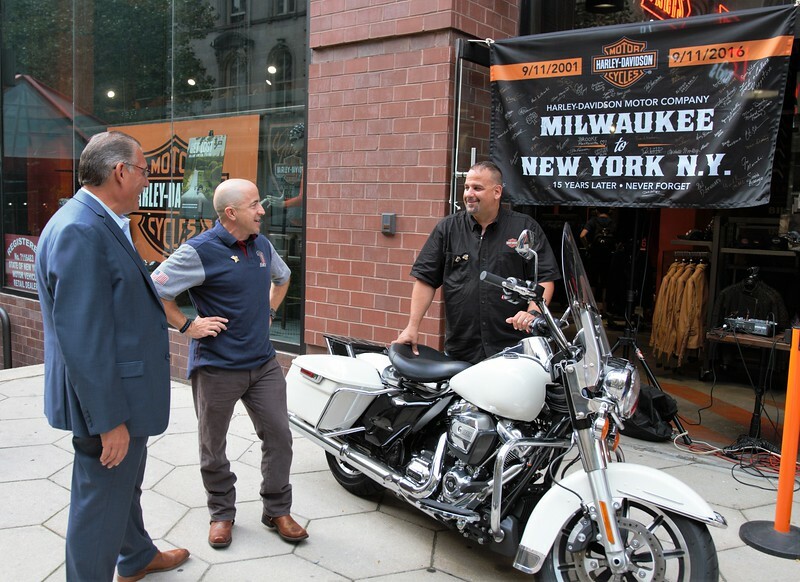 Once we arrived in New York Harley-Davidson donated a 2017 Police Road King to the NYPD. 15 years ago Harley-Davidson donated 30 Police Motorcycles to the NYPD after we were attacked by an act of terrorism. We also participated in the 9/11 Memorial Parade to remember those who gave all and those who continue to give all they had. This was such a special honor to be a part of. Proud to represent Harley-Davidson.